Well hello! What do we have here then? 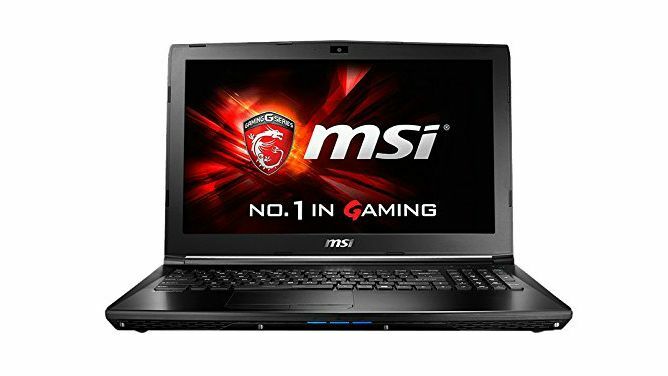 It's only a super tidy gaming notebook from renowned builders MSI discounted by £100 that's what! That's right, as part of a tasty selection of Boxing Day discounts, Amazon has decided to take a rather pleasing 13 per cent off the cost of this powerful gaming notebook, bringing the price down from £749.99 to just £649.99. But the specs right? That's the clincher after all. Well the good news is that you are well catered for, with the MSI GL62 gaming notebook coming packed with an Intel Core i5-6300HQ CPU, GeForce 940MX (2048 MB), 128GB SSD, 8GB of DDR IV RAM, a 15.6-inch 1366 x 768 resolution screen and a lovely fresh copy of Windows 10. Of course, Amazon say devices at this price are limited, so move fast if you are interested.